Their jaws noticably dropped when they saw an embroidered folk coat which looked strikingly similar to the cojocel binsenesc waistcoat their region has been producing for around a century. A Romanian version of the garment, historically worn on important occasions, sells at home and abroad for around 500 euros (US$580) — almost a month’s salary in one of the European Union’s poorest countries. 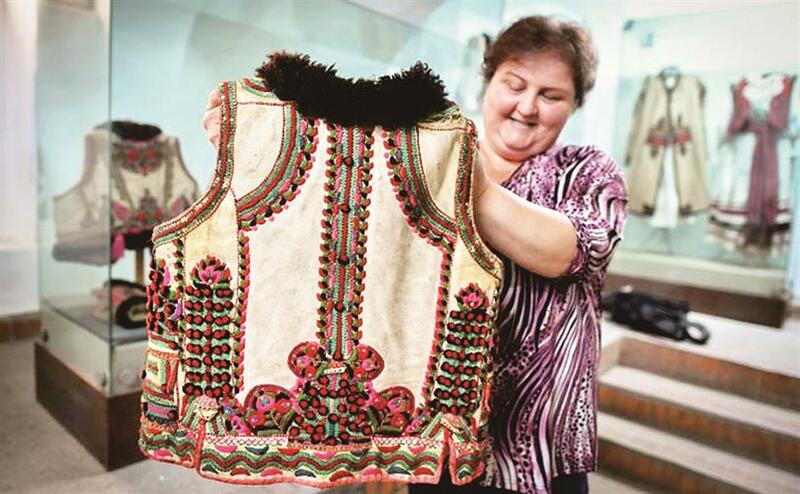 Dressmakers from Romania’s northwestern Bihor region were surprised to see an embroidered folk coat in a collection by Dior which looked strikingly similar to the cojocel binsenesc waistcoat their region has been producing for a century. “That day, I posted my first comment on Facebook, thanking the Dior fashion house for appreciating this beautiful item,” said Dorina Hanza, a 52-year-old embroiderer who cottoned on to the similarity. Yet Dior, which did not respond to requests for comment, may well have done the Bihor designers a favor. Demand has soared since the social media posts pointing out the similarities between both versions of the heavily embroidered, multicolor, sheepskin sleeveless jacket with black fur edging. “This waistcoat is 100 percent ours,” she insisted. Designs of Dior’s 2017 Pre-fall collection. A Dior heavily embroidered jacket gained attention for its similarity with Romanian traditional folk waistcoats. “Thanks Dior. Thanks to you we have begun to love our traditional costume again,” said Diana Herdelo, 33, another embroiderer from the Beius group who is weaving one of her own. One important detail on the Dior version did not escape the notice of Bihor residents though — the jacket worn by the fashion model was adorned with motifs, a phallic symbol — strictly worn only by men. “Our goal is to help people in this region and showcase their work and their traditions which were in danger of dying out,” said Beau Monde’s former editor-in-chief Roxana Dobrita. “Across the globe, the leading brands take their inspiration from different cultures without recognizing it,” he said. “Culture is a living thing,” he said. He said “cultural appropriation” has been going on since ancient times.